Discussion in 'Sport Boats' started by Sizzle, Apr 16, 2018.
drill slow to avoid chipping the gel coat. Run a hole saw in reverse until it is through the gel coat, than you can with to forward for the rest. It helps to take a small file and bevel the edge of the hole when you are done drilling. Hadn't thought about running the saw in reverse. Great idea! Will a regular hole saw work or would you recommend a step drill? I use the kind with a twist bit in the middle and saw tooth edges. Not a spade bit. 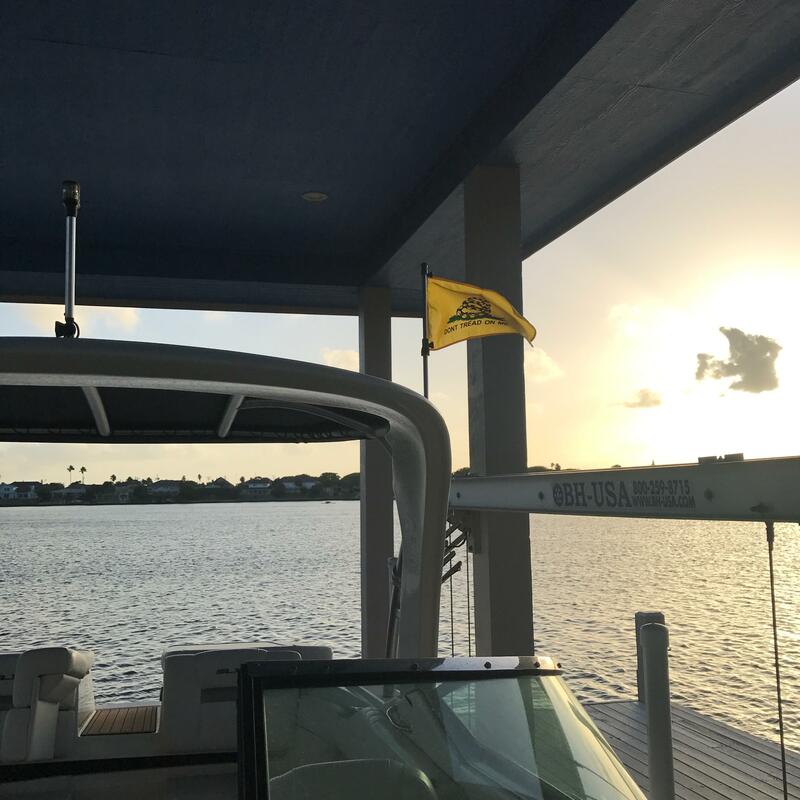 Flag should ideally be flown from the center of the stern, but since it is recognized that this location might get in the way of various pleasure boating activities, to starboard is acceptable. Thanks, all, for the help. Starboard it is. Given that is the preferred location I wonder why Cobalt puts their OEM flag on the port side? So does Sea Ray. I can't say that ALL models have it there as I've never really taken notice. But I just saw a brand new 250SLX that has it on the port side and also a '13 220SD that does. Regular hole saw... but a spade will work, as well. The most important thing is controlling the speed and pressure.